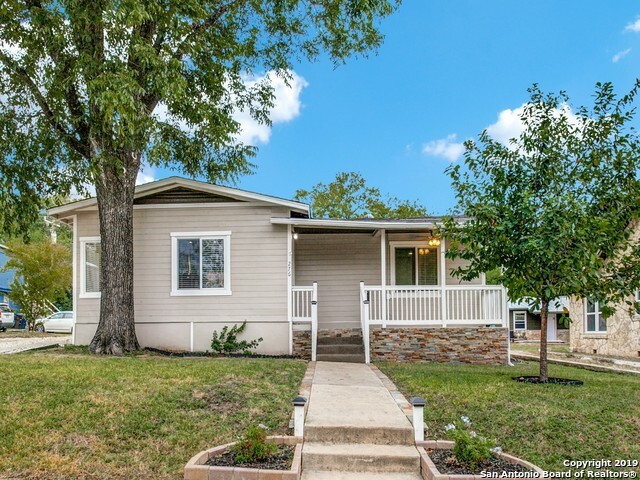 All MAHNCKE PARK homes currently listed for sale in San Antonio as of 04/20/2019 are shown below. You can change the search criteria at any time by pressing the 'Change Search' button below. "Sophisticated 2 bedroom, 2.5 bath condo with gorgeous breathtaking views, plus all of the amenities of a 5 star resort. This condo features an open floor plan w/ private balcony, professional kitchen w/ Miele & Subzero appliances, spectacular master w/ spa like bath & large walk in closet. 24 hr concierge, state of the art work out facility, resort style pool, spa & cabana, barbecue area & 2 dog parks complete this ideal setting. Located conveniently on Broadway in the museum reach. Please ca"
"A Hidden Gem in Mahncke Park w/Gorgeous Golf Course Views! 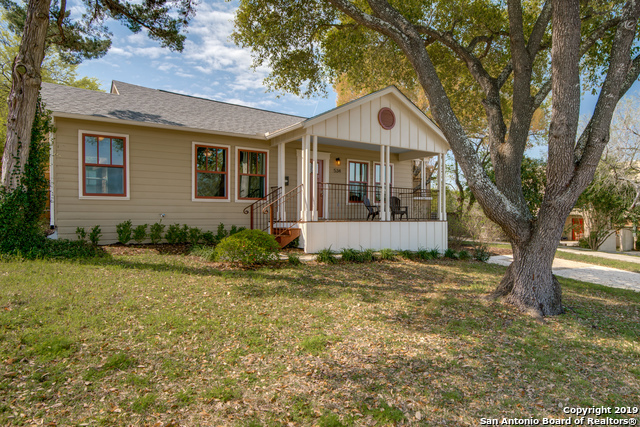 This charming home has undergone a complete remodel relevant to 21st Century Living. An open~versatile floor plan fea tall ceilings, neutral colors, oversize Living Rm, Spacious Kitchen, Granite Counters, Custom Cabinets w/Luxurious Wood & Tile Floors, Stunning Master Ste w/office & a backyard offering privacy behind the Botanical Garden makes a wonderful spot for entertaining! Easy access to Shopping, Eateries, Parks, Museums, S.A. 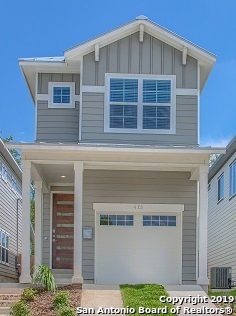 Zoo "
"Modern, high performance, green home with 4 bed, 3.5 bath. Open floor plan great for entertaining, larger sized backyard for pets or Al Fresco dining. Kitchen features sleek Silestone countertops, bartop island, 42 soft close cabinetry, SS Kitchen Aid appliances with gas range. Energy features include- tankless gas water heater, spray foam insulation in attic and exterior walls, LED lighting, NEST and 16 SEER HVAC. Vaulted ceilings. 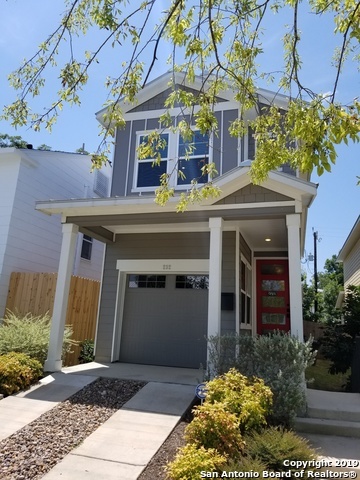 Luma is conveniently located close to The Pearl and Brackenridg"
"Just a 3 minute walk to the San Antonio Botanical Gardens this recently built Energy Star Certified and Build SA Green home is in midtown Mahncke Park. Luxury features include Elfa custom closets, gourmet kitchen, Hunter Douglas window fashions and Delta spa shower just to name a few. The patio and back yard is a beautifully landscaped low maintenance oasis featuring a resort style putting green and an available hot tub. This is a rare gem so don't delay scheduling a showing of this beautiful "
"Modern, high performance, green home with 3 bed, 3.5 bath. Open floor plan great for entertaining, larger sized backyard for pets or Al Fresco dining. Kitchen features sleek Silestone countertops, bartop island, 42 soft close cabinetry, SS Kitchen Aid appliances with gas range. Energy features include- tankless gas water heater, spray foam insulation in attic and exterior walls, LED lighting, NEST and 15 SEER HVAC. Vaulted ceilings. Luma is conveniently located close to The Pearl and Brackenridg"
"Beautiful, energy-efficient Imagine Home. 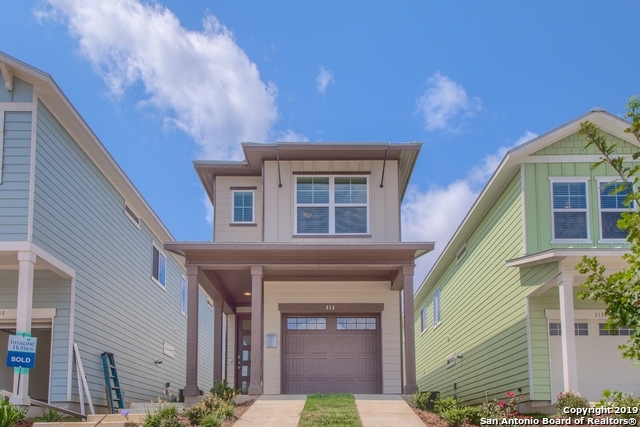 Modern, high performance, green home with 2 stories, 3 bedrooms, 2.5 baths, and 1 car attached garage. Open kitchen features granite countertops, bartop island, 42 raised panel cabinets. Whirlpool stainless steel appliance with gas oven and burners. This home has included energy saving features-gas tankless water heater, spray foam insulation in the attic and exterior walls, and 16 SEER HVAC system. 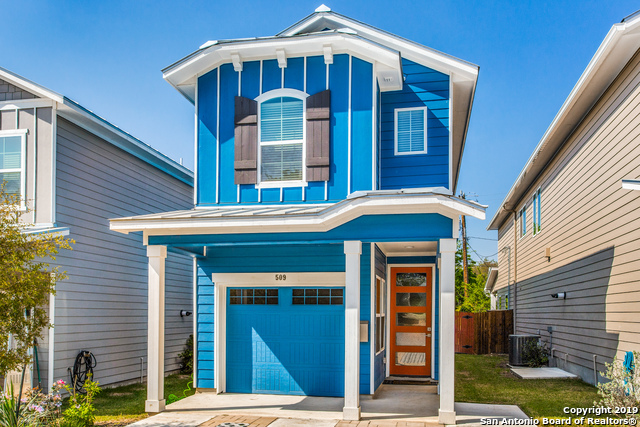 Close to Botanical Gardens, Witte Museum, & The Pe"
"Beautiful, energy-efficient Imagine Home. Modern, high performance, green home with 2 stories, 3 bedrooms, 2.5 baths, and 1 car attached garage. Open kitchen features granite countertops, bartop island, 42 raised panel cabinets. Whirlpool stainless steel appliance with gas oven and burners. This home has included energy saving features-gas tankless water heater, spray foam insulation in the attic and exterior walls, and 16 SEER HVAC system. Close to Botanical Gardens, Witte Museum, & San An"
"Exclusive 2 Master Bdrm Home, 2.5 baths, study niche, and 1 car garage. 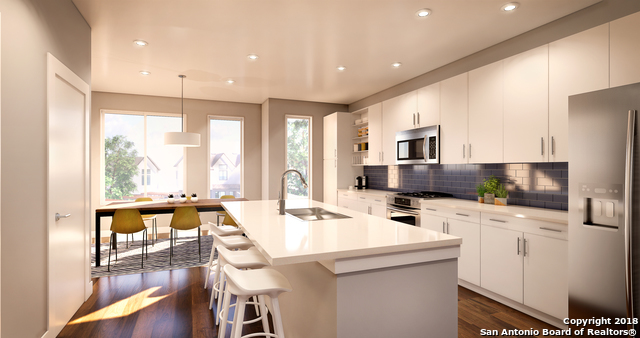 The Distinct Open Kitchen includes Granite Bar top island, Wood floors throughout, 42 Shaker cabinets, Whirlpool SS, gas oven/burners, W/D & Refrigerator Included; Energy Efficient; Modern Home, Tankless Water Heater, sprayed foam attic/Exterior walls, 16 SEER HVAC. 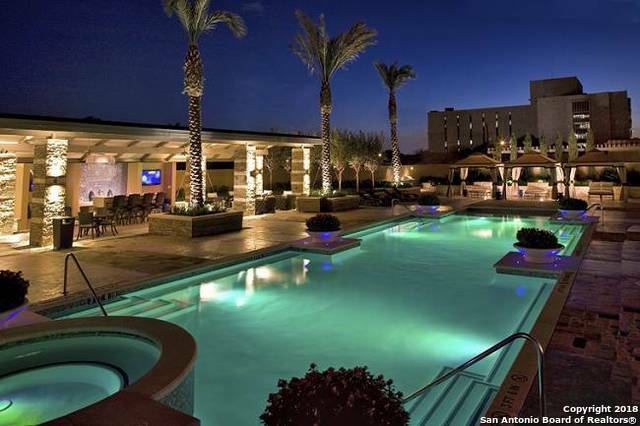 Sophistication near Heart of downtown, The Pearl, Ft. Sam, SA Botanical Gardens, and more. 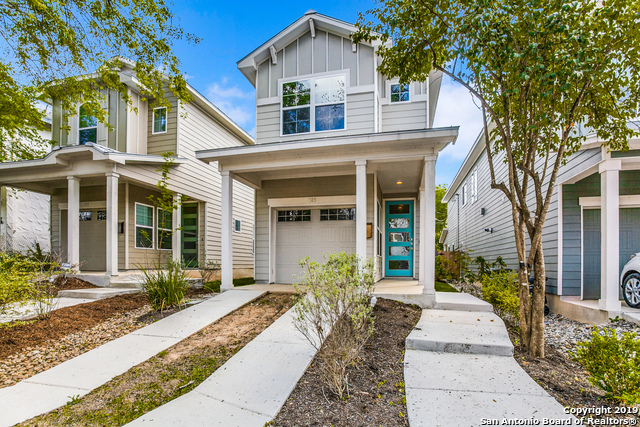 View Website: https://sites.totalexpert.net/509-elmhurst-ave-san-anton"
"Imagine Homes' model home is now available to own in Mahncke Par. Energy-efficient, high performance, green home. 2 stories, 3 bedrooms, 2.5 baths, and 1 car attached garage. Open kitchen features granite countertops, island, 42 Shaker panel cabinets, Whirlpool stainless appliances with gas oven and burners. Energy saving features-gas tankless water heater, spray foam insulation in the attic and exterior walls, and 16 SEER HVAC. All the modern conveniences of a new home just north of the Pea"
"2018 Best in Green Community!! Luxury, move in ready, urban bungalow in highly desirable Mahncke Park neighborhood. 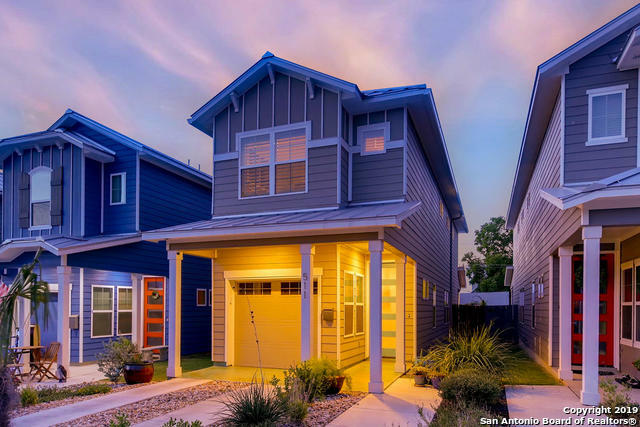 Walkable living close to UIW, Pearl, Brackenridge Park, Botanical Gardens, Broadway corridor and new children's museum. Quartz countertops, hardwood floors, stainless appliances set this gem apart. Highly energy efficient with spray foam insulation, tankless water heater and high efficiency HVAC. Home has close to $10,000 in builder upgrades. 100% Financing available through Regio"
"Mahncke Park , charming 3/2 with garage, over quarter acre lot!Enjoy the wildflowers across the street,the community garden a few yards down or walk on up to the Botanical Gardens, easy walk-ability in this desirable neighborhood, great neighbors who are always involved,vibrant mix of kids,pets and grownups..walk to outstanding Lamar Elementary. updates,close to Ft.Sam and all the cool stuff! Unique Barrel Vault Ceilings,so much to offer..more pics will follow. call for details. Tenant occupied"
"This Mahncke Park Home is beautiful inside and out.This Home boasts 3 bedroom 2 full baths, Granite counter tops in kitchen, carpet in bedrooms ,wood fls. Huge patio/ carport with deck. Home is fully furnished, just move in. These photos are of staging furniture which do not convey"
"This charming property is in desirable Mahncke Park. In this home you will find many updates to include kitchen, bathrooms, windows and lighting. Enjoy the wood floors and open floor plan as well as a big back yard. Centrally located to downtown, The Pearl, UIW, restaurants and more. This property qualifies for up to $7,500 lender closing costs for a buyer that qualifies. Please inquire for details and request a showing today!" 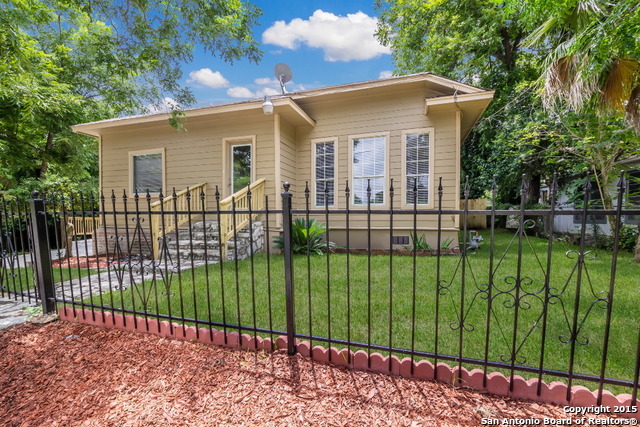 "Charming 1 bed/1 bath + office in desirable Mahnke Park. Light & bright living room w/ fireplace welcomes you in to the single story home. Formal dining room with beautiful hardwood floors. Spacious kitchen features gas cooking, SS appliances, white cabinetry, and breakfast room overlooking the backyard. Large master bedroom ready for slumber! Office or flex room w/ views of the patio. Relax under the shade of the mature trees on your private park-like backyard. Walk to local dining & shopping!" 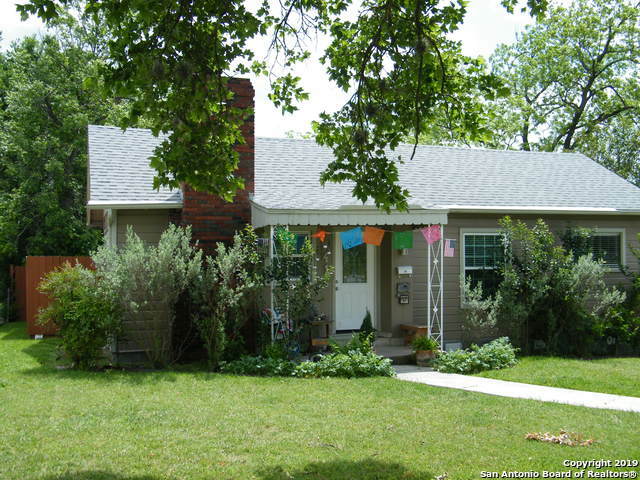 "Completely updated home in the historic Mahncke Park. Freshly painted inside & out. Open floor plan consists of original oak hardwood floors throughout & plantation shutters. Large kitchen w/ marble countertops, tons of storage & top of the line stainless appliances. Large master bedroom w 2 closets overlooks backyard. Second bedroom can be used as study. Gated driveway with large/flat backyard w/ mature mulberry tree. Adjacent to Fort Sam provides extra privacy. Over 100k in recent upgrade"